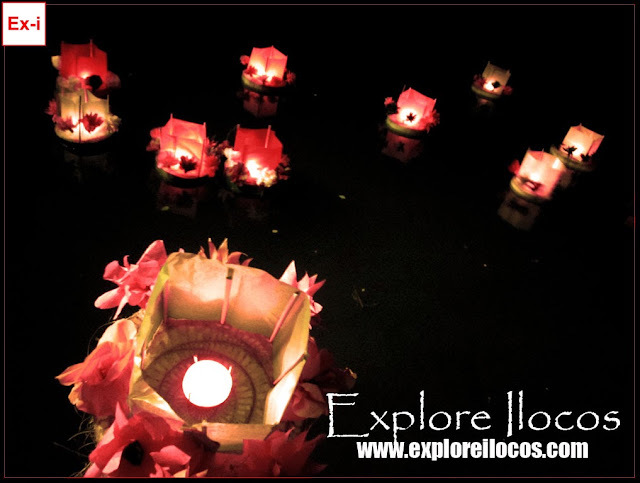 VIGAN CITY ▬ SO I ATTENDED THE CANDLE FLOATING CEREMONY AT THE MESTIZO RIVER. THE CANDLES PLACED OVER A BANANA SAP DECORATED WITH ARTIFICIAL FLOWERS AND CUFFED BY JAPANESE PAPERS IN DIFFERENT COLORS WERE RELEASED AT THE MESTIZO RIVER NEAR CELEDONIA GARDEN IN BEDDENG DAYA, VIGAN CITY. THE EVENT WAS ATTENDED BY THE LOCALS, TOURISTS BOTH FOREIGN AND LOCAL, FRIENDS FROM THE BLOGGING INDUSTRY, GOVERNMENT OFFICIALS AND MEDIA PEOPLE. THIS IS STILL A PART OF THE RANIAG TWILIGHT FESTIVAL CELEBRATION IN VIGAN. ang ganda! Looking forward to visit ilocos soonest!